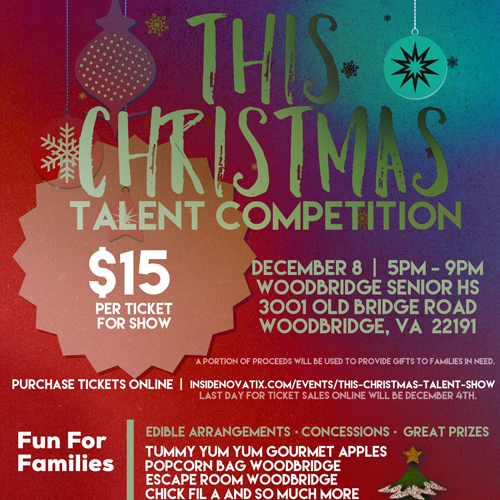 We are hosting the "This Christmas Talent Show" on December 8, 2018 at Woodbridge Senior High School, where our performers are committed to performing for a purpose, we will be giving back to families in need by providing Christmas gifts. 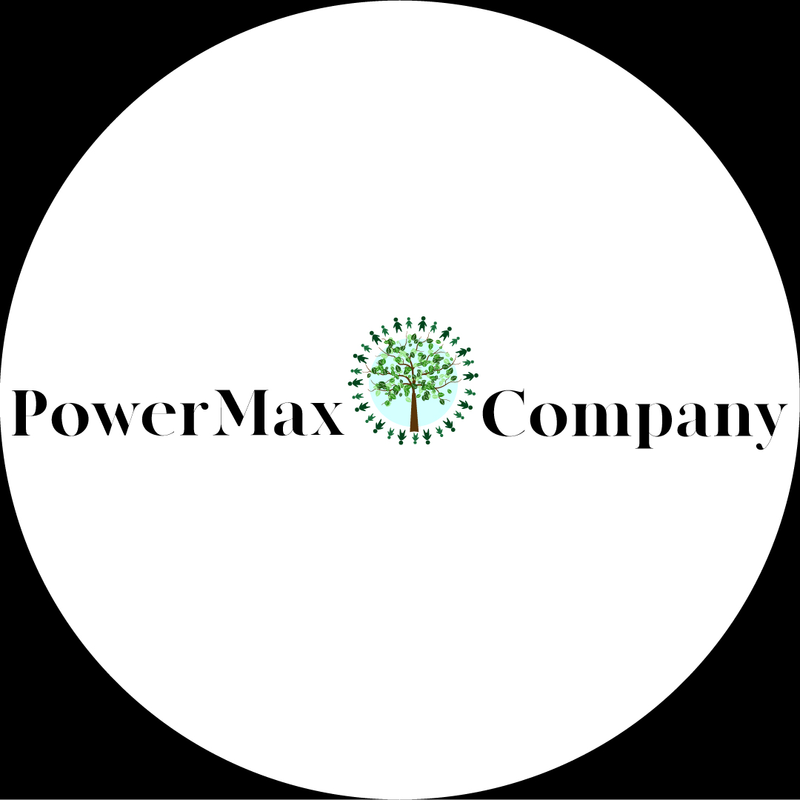 This is a show you don't want to miss! You will see an amazing show of performers, that are committed to performing with a purpose; something that you will also be a part of by attending, because we will be giving back to families in need by providing Christmas gifts! How amazing is that? It will be a show to remember! There will be singers, musicians, dancers, comedian, and step-teams all competing for a chance to win some amazing cash prizes and so much more. There will be vendors, Edible Arrangements, and concession available. It is a show that you don't want to miss!!! So hurry and purchase your tickets. The last day for ticket sales online is on December 4th. The tickets will be $20 at the door,(cash only) the day of the show. Thank you all for your support and being willing to come together to help others in need this Christmas! Our Sponsors are Cue Recording at http://www.cuerecording.com/ , Greenwood Photography at http://www.greenwoodphotography.com/, Who Let The Gate Open Video Productions at http://www.wholetthegateopen.com/, Premier Martial Arts at https://www.pmaninja.com/, Tummy yum-yum Gourmet Apples at https://www.tummy-yumyum.com/product-category/cand... , Escape Room Woodbridge at https://www.escaperoomwoodbridgeva.com/, and PowerMax Enterprises LLC, at http://www.sharonmkelly.com/events/.